Captain Nature Boy is an Anguillan native who lives in Island Harbour. 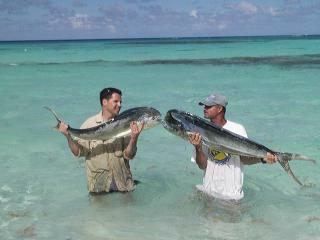 Knowing the waters and where the fish travel makes him one of the most successful fisherman on Anguilla. Fishing 5 lines at a time with Captain Nature Boy gets the most fish. 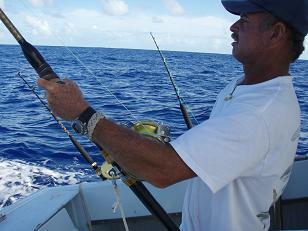 Two lines are set deep and three across the top of the water, so if the fish are there he'll find them. 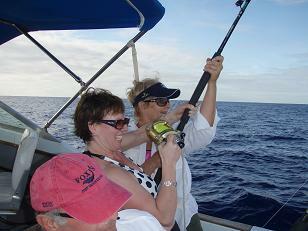 Relax and enjoy the ride on the well provisioned boat. Sandwiches and your favorite beverages are always provided. Just let the captain know what you want and he'll make sure its chilled and waiting upon your arrival. Coming from St Martin? Nature Boy will pick you up at the ferry or airport and take care of your every need. 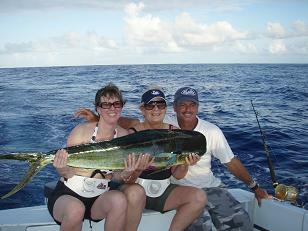 Book your fishing charter Now!